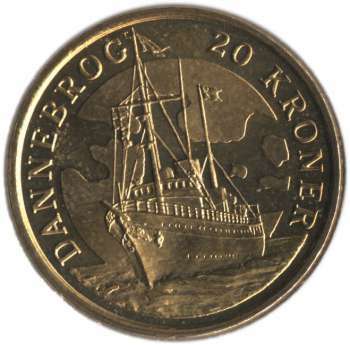 Thematic coin - the fifth coin in the Ship series. Released on 22 September 2008. Head right, 4-th portrait of the Queen Margaret II. Royal Yacht Dannebrog at sea and cloudy sky.